Chef Jeremy Reinicke has a broad food background from Chef Instructor at Le Cordon Bleu, to Restaurant Manager, to Cooking School Coordinator with Cooks of Crocus Hill. In his early days on the scene he worked at Tim Mckee’s Solera, as well as Robert Mondavi and Julia Child’s “COPIA” in Napa Valley. Jeremy has always been passionate about great food and loves helping others take command of their own kitchens. He continues to teach cooking classes to the public at locations all around the Twin Cities Metro. 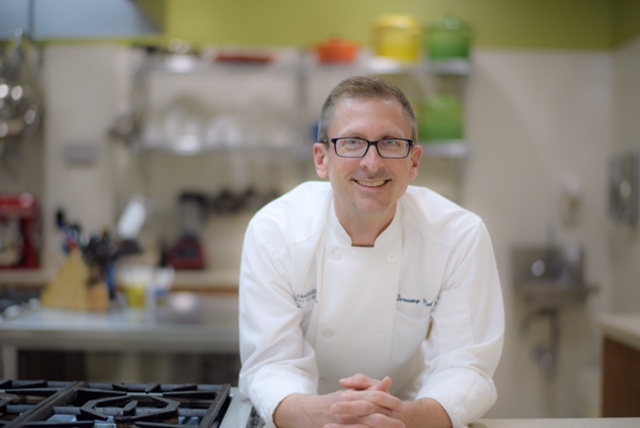 His current focus is the operation of the teaching kitchen at HealthEast’s Ways to Wellness on the Woodwinds Health Campus, where he teaches nutritious and delicious cooking classes and provides one on one consultations for patients and the community.